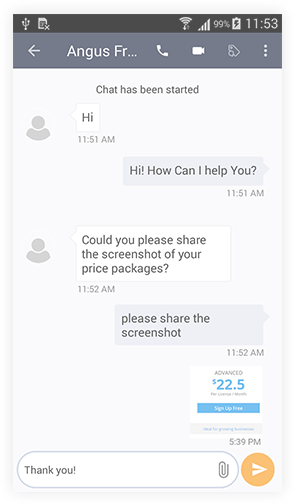 Stay on top to provide live chat support and instant assistance to your website visitors and customers anytime using REVE Chat Android Mobile App. While you’re not in office, you would not want to lose any query from a website visitor. 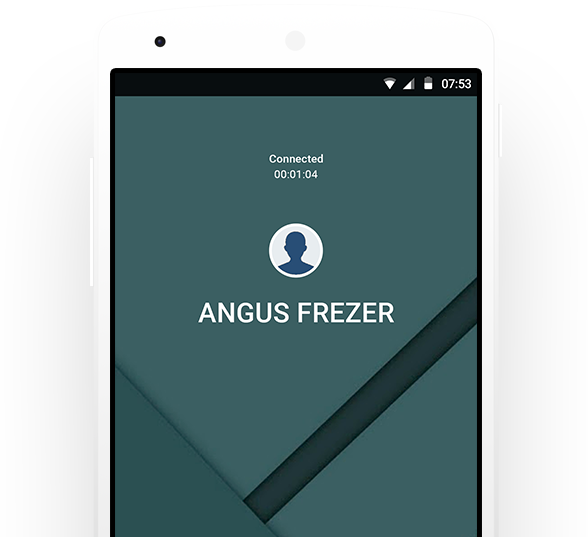 We understand your concern and hence developed this live chat app. 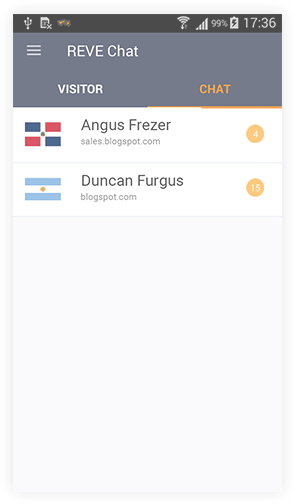 This app helps you in addressing all the queries and you would never miss a chat/business opportunity. 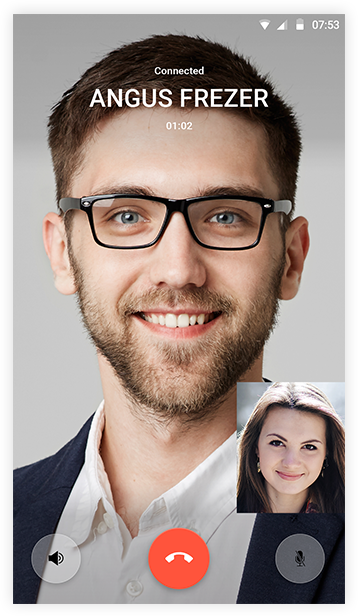 Customer engagement is one task which almost all the big firms are trying to accomplish. 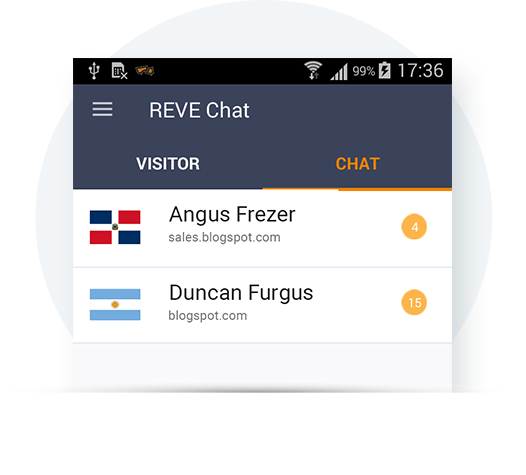 You can easily achieve this by talking to your website, app, facebook page visitors in real time from your mobile phone using REVE Chat mobile app. 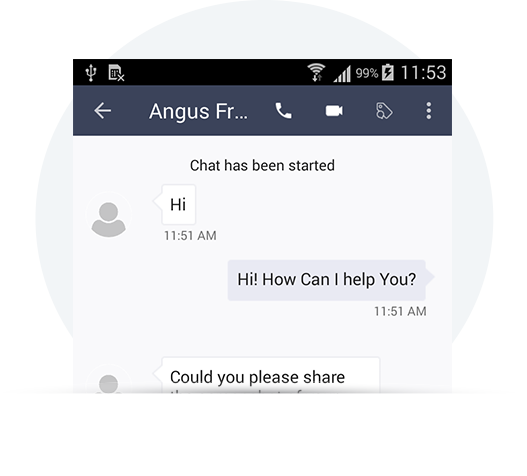 While you’re on the move, REVE Chat app works in the background and notifies you whenever someone tries to connect with you via chat window. 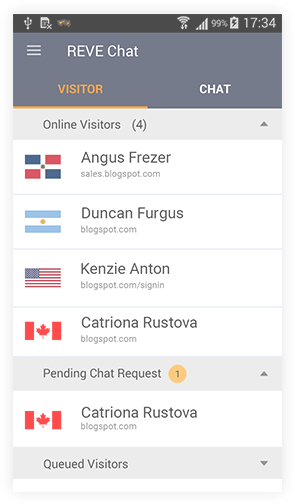 As soon as a visitor writes a message to you in the chat window, you receive an app notification and you can reply. 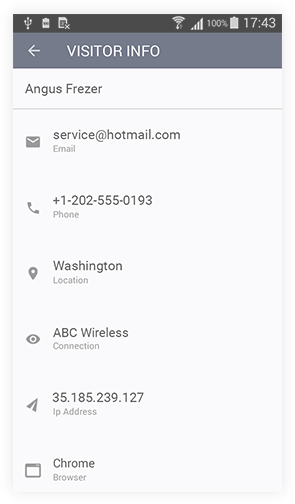 This way you don’t have to check the app again and again for new messages. 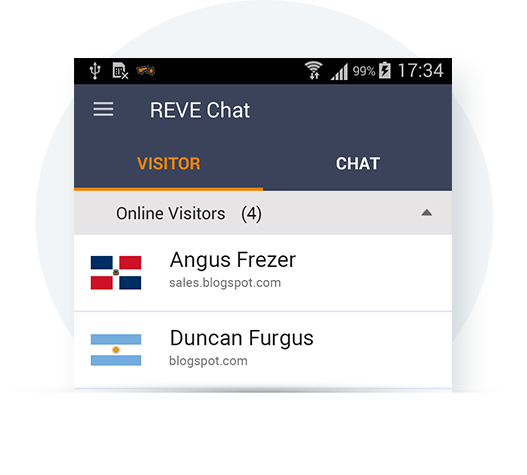 Stay in touch with your website visitors using REVE Chat android app on your smartphone.